I’ve been experiencing wonderful things recently. First, my friend Janet Bianchini tagged my blog as a blog which is worth reading. It was fabulous. I was thrilled. When I started blogging in September, I wasn’t sure what to write. However, when days passed and when I realised my posts were being read, I just wanted to continue. 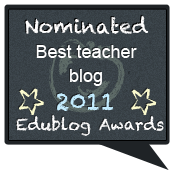 I write about my thoughts, lesson ideas and I share the stories, poems my students create. 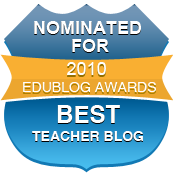 The next good thing that has happened to me is that my blog has been nominated in the Lexiophiles Top 100 Language Teaching Blogs 2010. It was a big surprise for me. I really feel flattered, happy, …I can’t express my feelings with any adjectives. On this list there are fabulous blogs. The blogs that inspire me, the blogs that guide me. To be there with them is a great honour. I learn loads from them. 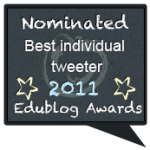 They are my PLN,a priviledge for a 21st century teacher. If I compare my blog with theirs, this blog is like a toddler trying to learn to walk . 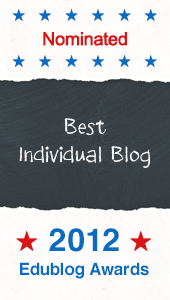 I don’t know who else nominated this blog but from the comments I know that one of them is Marisa Pavan and I really want to thank her for that. PS This post is not written to ask for votes. 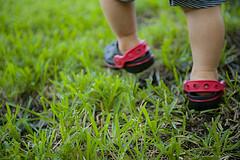 It aimes to share how proud the writer of this blog is … As proud as a parent who witnesses her kids’ first steps. Congratulations, Eva. Janet and Marisa have good taste and your recommendations and nominations are quite well-deserved. 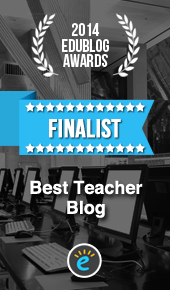 I hope these nominations encourage more people to visit your blog! And it is as delightful a scene to watch, Eva – I really enjoy hearing your voice get stronger within each post. I don’t comment always (I read about 200 blogs) but I am paying attention and think you have much to share and teach! Thank you Karenne and your comments mean alot to me. Thank YOU, Eva, for sharing your creative ideas! Thanks for inlcuding a link of my CV your post! I’ve been learning a lot from the members of my PLN and it’s encouraged me to be motivating in my classes. I’d just like to say how much I enjoy reading your posts. It was a great pleasure nominating your blog and I agree with Karenne when she says that you are going from strength to strength! Well done.